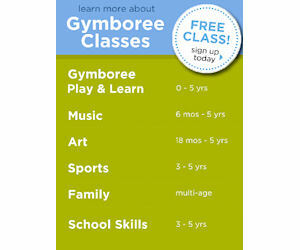 Gymboree is offering a free class for visitors! Click the 'Free Class' bubble on the upper right and then sign up online or call your nearest Gymboree studio to book your free class. Check out the linked page for more details. NOTE: International users must click the 'View international locations' under the search boxes to find their local studio.